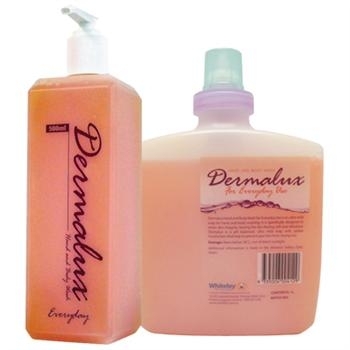 Dermalux for Everyday Use is an ultra mild soap for hand and body washing. It is specifically designed to retain skin integrity, leaving the skin feeling soft and refreshed. Dermalux for Everyday Use is a pH balanced, ultra mild soap with added moisturisers that helps to prevent your skin from drying out. 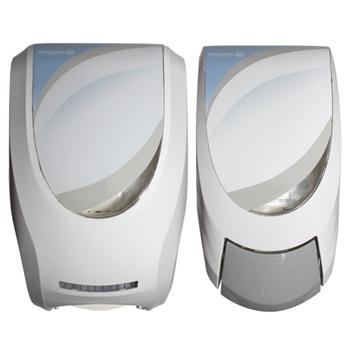 Dermalux for Everyday Use is mild enough to be used throughout the day and is ideal for people who wash their hands frequently. It is an ultra mild soap with the delicate fragrance of peaches and apricots. Available in 500ml, 1L and 5L. 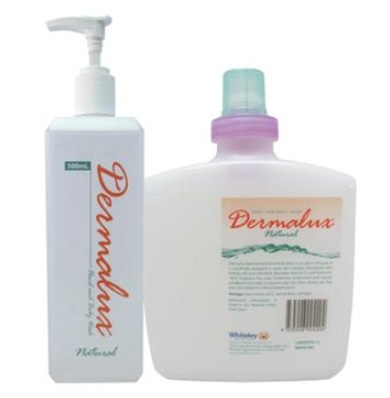 Dermalux Enrich 3-in-1 Shampoo, Conditioner and Body Wash is pH balanced and gentle on skin and hair. It contains added moisturisers including Lipidure® Biomimetic Moisturiser, to hydrate and replenish skin and hair. Dermalux Enrich is delicately fragranced and is specifically designed to retain skin integrity and revitalise hair. 3-in-1 Shampoo, Conditioner and Body Wash is ideal for use in Aged Care facilities as it is easy to use and gentle on all skin types. Adequate moisturisation is one of the most important factors in maintaining healthy skin in Aged Care. It contains Betaine a rapid, long-lasting moisturiser with low irritancy to skin. Betaine is also ideal for use on treated, permed or coloured hair. 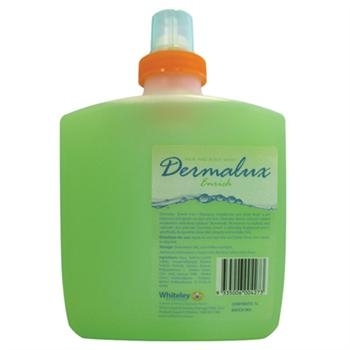 Dermalux Enrich is ideally used on alternate days to the Dermalux Soft Towel Bath. Stand Height = 145cm. Weight: 12kg.